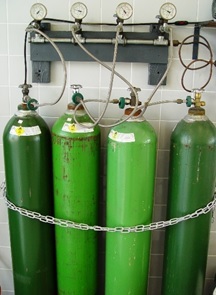 The Directive applies to simple pressure vessels manufactured in series. A ‘simple pressure vessel’ being any welded vessel subjected to an internal gauge pressure of greater than 0.5 bar intended to contain air or nitrogen which is not intended to be fired. The Directive (87/404/EEC) has been replaced by the current Directive (2014/29/EU), which came into force on the 20th April 2016. – two dished ends revolving around the same axis. The maximum working pressure of the vessel shall not exceed 30 Bar and the product of the pressure and capacity shall (Ps xV) not exceed 10,000 bar.l. In order for vessels to be put on the market they must not compromise the safety of persons, domestic animals or property when properly installed and maintained. The Route followed to conformity and requirements of the Directive vary with the value of the product of Ps x V.
– If Ps x V exceeds 50 then the product must meet the essential safety requirements of the directive as found in Annex I of the Directive. These products will require the involvement of an approved inspection body. – If Ps x V is 50 or less must be manufactured with sound engineering practice and bear the markings as described in point one of Annex II of the Directive. For more support on CE Marking under the Simple Pressure Vessels Directive, or to find out how we can help you, please call us on 01564 792349, or please complete our online enquiry form.